If you’re working on learning a language, you might go down the rabbit hole. What??? Yeah, that’s a good thing. Be proud. You’re doing yourself (especially your brain) a big favor. During these cold months of the year where the holidays are far and in between, learning a language can lift your spirits with goals and challenges. Plus, mis amigos, it’s a lot of fun. You’ve spent a lot of time looking for the best language learning apps. Duolingo? Busuu? Babbel? Which one is the bestest?! You can’t help but look for international movies and shows to help you acquire vocabulary. Every time you don’t know a word, you feel an urge to look up the definition. Language exchange clubs are your jam. You’re addicted to language learning blogs. You can’t wait for the next release of your favorite language learning podcast. Give me more Coffee Breaks! Native speakers become your best friends. You’re used to messing up and either laughing about it or obsessing over it. Why did I say dieciseis instead of veintiseis?! Aghh!! You start to question how to translate all of your thoughts and become a code switcher. You have your own mini library of language learning materials. I’ll never let them go. I bet some of these resonated with you. What else makes someone a language learning nerd? Be sure to like, comment, or share! If your mental health is suffering and you feel like you’ll never feel better, learning a language can help you with that. Maybe you’re going through big changes in your life, suffering from clinical depression, experiencing yucky weather, or bored with your daily routine. Ultimately, depression affects each of us in a debilitating way, so I’d like to tell you 5 ways language learning helps fight depression. 1. Language learning activates different areas of our brain. Depression can cause brain shrinkage, inflammation, and reduced functionality of different areas in our brain. Learning a language, however, increases the size of our brain. Our brains grow in the hippocampus and cerebral cortex. Additionally, we’re delaying brain deterioration, which can protect us from dementia. It can also improve cognitive abilities with memory, creativity, flexibility, problem-solving, and other intellectual capacities. 2. Language learning helps connect you with other people. Depression causes us to feel alone in the world. If you’re taking language classes or learning through an app, you’ll connect with other people. Whether you’re in class or at a language exchange group, you have a reason to communicate with others. You might also find that people in your town speak the language you’re learning. If you’re abroad in that country, you’ll be able to learn more about the culture while improving upon your language skills. Many apps have forums where you can ask questions and practice new lessons. You could also connect with others through social media or online classes via video calls. 3. Language learning helps widen the scope of future possibilities. If you’re experiencing symptoms of depression, you may feel mentally and emotionally blocked and that you’ll never feel happy again. When you’re learning a language, you’ll feel that the world offers lots of opportunities to practice the language. You may feel inspired to visit that country for a vacation or for something longer. You may even want to study, teach, volunteer or work abroad in that country because it gives you a reason to practice the language you’re learning. Language and culture are intertwined, so it’ll open up chances for you to experience the country at a different level. 4. Language learning helps you out of a negative spiral of thoughts. One of the nastiest symptoms of depression is when our minds play tricks on us. It tells us that we’re worthless and that life is hopeless. Learning a language provides a healthy distraction to that negative spiral of thoughts. When you’re learning a language, your mind is focused on other things. 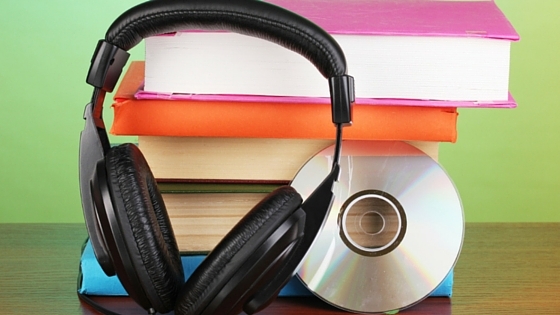 You’ll want to absorb music, podcasts, movies, and books in the language you’re learning. You’ll be focused on the grammar and vocabulary, and you’ll spend more time reading forums, looking at blogs, and asking questions to help you understand new things. 5. Language learning helps you feel motivated and productive. With depression, you want to stay in bed and do nothing because you feel paralyzed or unmotivated. Learning a language will give you a reason to get out of bed. Whether you’re learning from an app or in a class, you can get to the next chapter or the next level. Many language learning apps involve games and pictures. You can also practice with vocabulary flashcards and filling in lyrics of songs (lyricstraining.com). Most of all, learning a language is fun! It’s challenging and rewarding. Sometimes it’s frustrating, but it’s a good feeling when you memorize something new or finally understand a tough grammar point. You don’t have to be the best or the most fluent! Learning a language is a long-term opportunity to view communication in a different light. Plus, you’ll be doing yourself (and your brain) a favor mentally, emotionally, and socially. How else does language learning help with depression? Thanks for reading! Is one of your New Year’s resolutions to learn a language or to keep getting better at one? Maybe you tried learning a language in the past and everything was going well until you tried to have a conversation in the target language…with a native language speaker. :-O You may have thought, “Everything coming out of my mouth sounds like garbage!” Trust me, every language learner has had problems along the way. Heck, even native speakers make mistakes with grammar and vocabulary. I need to mention that there’s a difference between an error and a mistake with language learning. An error means you didn’t use the correct form of the language because you had no prior knowledge of it. A mistake means you did something wrong and you had learned about it previously. In any case, forgive yourself. You can’t know everything, and you can’t remember everything. Remember that it’s all a learning process and to enjoy the journey! I personally had to deal with overcoming perfectionism with language learning when I started teaching English abroad in Ecuador. I studied Spanish for a few years in college, but I was pretty rusty and had a lot of studying up to do. My host family asked me my age, and I accidentally said I was 16 instead of 26! Can you imagine my embarrassment?! I also used Spanish words that weren’t common in Ecuador, and I got some funny looks every now and then. I conjugated verbs incorrectly, I fumbled over words, and I stammered on pronunciation like a broken doll. But guess what? I wanted so badly to improve my Spanish. I was determined to study and practice as much as I could in my free time. Do I still have a lot to learn? Of course! As an ESL teacher, I saw my students struggle with the fact that they made mistakes too while practicing English. What bothered me the most was they were letting that fear impede them from growing and getting better. I would hear multiple apologies on a daily basis, but you don’t need to be sorry because as long as you’re doing your best, then that means something. The students that got better at English didn’t give up. They continued to ask questions and practice with other students. I’m a bit of a perfectionist myself, as I care about details, but sometimes it’s easy to forget the big picture when you’re learning a new language. Making mistakes = You’re trying! People correcting you = You’re learning from your mistakes! Trying what you learn = You’re getting better with practice! With all of this, accept that you’re human, not a computer with all the answers. That’s what apps and Google translate is for, and even they make mistakes… If you didn’t grow up speaking the language, why would anyone expect you to speak it 100% fluently? I recommend practicing speaking and listening with a partner/tutor then practice with a group for awhile and then practice with strangers in different situations. My last piece of advice: laugh it off! The most important thing is to keep an open-mind, never give up, and accept corrections from others. Believe me, it’s painful and challenging in the beginning. One time I used the word mantequilla (butter) for makeup instead of maquillaje. You know what I did? I laughed so hard, and so did my native Spanish speaking friend. We made a great memory together. Every language learner I have met has some pretty funny stories to tell about the mistakes they made along the way. Eventually, the number of mistakes diminished with practice, and they became more comfortable with the language. You’re a strong person for making it your goal to learn a language and trying it out. So keep practicing. You got this! Have you ever made language learning mistakes? Please share in the comments! Christmas is near and almost here. We’re all scrambling to figure out what to buy our significant others, friends, family members, colleagues, etc. Here’s an idea: language learning gifts! If you know someone who loves to learn or travel, one of the best ways to support them is through the gift of communications. Language learning also benefits those who need/want to improve their memory and do something productive and meaningful to keep themselves busy in their free time. 1. A gift card for target language audiobooks: Audiobooks are an enjoyable way to hear the language in a storytelling format. They can also repeat the sounds and try out new phrases. 2. A cookbook in the target language: A fun and helpful way to get them learning vocabulary for food and the kitchen. Practicing the language in a kinesthetic way is helpful for remembering new words too. You could also encourage them to learn another language via other hobbies they have with buying songbooks, sheet music, knitting instructions, bird watching, etc. 3. 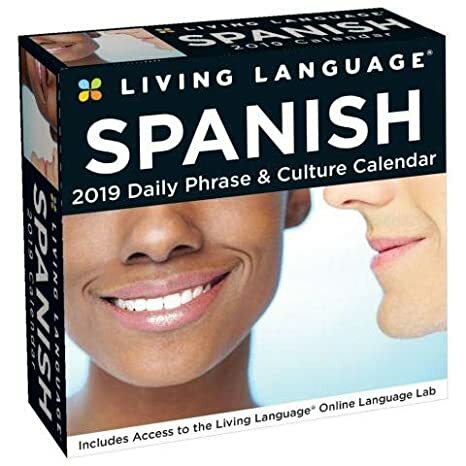 A box calendar in the target language: Now your gift receiver will have a reason to practice the target language on a daily basis with a calendar! 4. 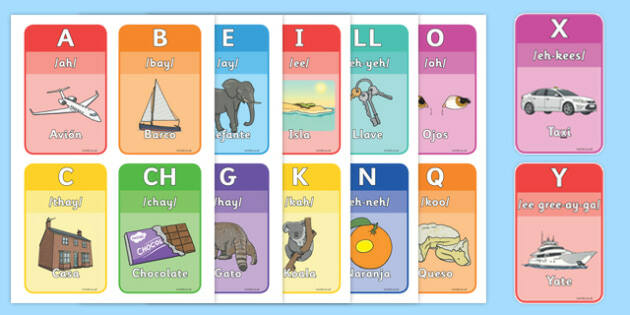 Flash cards in the target language: Why not learn new vocabulary by associating images with words? Using flash cards encourages the learner to practice for small amounts of time on a daily basis. 5. Pay for a year subscription for a language exchange Meetup group: Encourage the gift receiver to start a language exchange group! Many students at universities and high schools would love to practice the target language in a fun setting. 6. 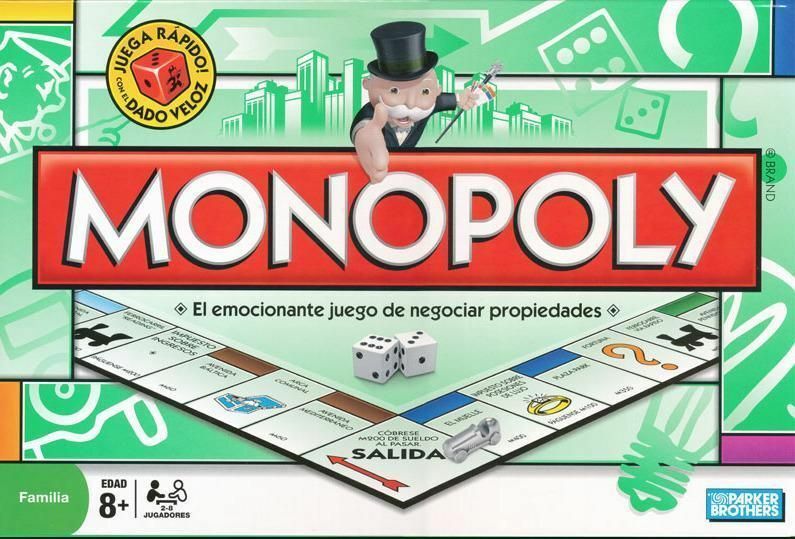 Board game in the target language: Another fun way to bring people together to practice the target language! 7. Favorite book series in target language: Most of us have a favorite book series, and usually you can find a translation of it. It’s more helpful if we know the context and basic story to help us learn new vocabulary. 8. Gift card for language learning Google Play or Apple apps: Gift receivers can use the gift card to buy a language learning app, music, or books on their smartphone in the target language. 9. An online or in-person course: Here’s a big way you can support gift receivers with their language learning goals: education! Paying for tutoring lessons is another idea. 10. International movies or TV programs in the target language: Here’s a way the language learner can learn more about the culture of another country in the comfort of their homes while learning the language. Now you have 10 language learning gift ideas for Christmas or other celebrations! (You could also help with raising money for a travel trip for them, but that’s another story.) Keep in mind the language level of the person when buying a gift because you want to challenge them, but you don’t want to make it impossible for them. If you have any more ideas for language learning gifts, I invite you to share some in the comments. Grammar Goody: Get It Done! *Get is more informal, but both have and get mean the same thing. You can use get/have in different verb tenses. Putting the subject pronoun first is optional, and you can conjugate hacer for other verb tenses. Notice that we assume the person didn’t actually do the action. Also, if you replace the object with a pronoun, put it before the verb. Question: Okay, so what about if we need to throw in a conjugated verb in the beginning?Answer: You’ll use it with two infinitives. – I need to get my car washed. = Necesito hacer lavar mi carro. – I have to get my car washed. = Tengo que hacer lavar mi carro. – I need to have my hair cut. = Necesito hacerme cortar el cabello. – I have to have a hair cut. = Tengo que hacerme cortar el cabello. – She needs to get her car washed. = Necesita hacer lavar su carro. – She has to get her car painted. = Tiene que hacer pintar su casa. When I first started learning Spanish, I was frustrated with my lack of vocabulary. Watching Netflix shows in Spanish (with Spanish subtitles) can help you associate words and images, and you’ll be more likely to remember them in the future. Plus, you’re more likely to want to follow along with the story, so you’ll pick up a lot along the way. You might need to pause and look up some words every now and then, but it’ll be worth it! The vast majority of shows that are in Spanish on Netflix are about drug cartels and politics, so I wanted to show you some more variety. The majority of these take place in Spain, but some of them take place in Latin America. Set in the 20th century in Spain, this show is about a young man who comes to the hotel to investigate the disappearance of his sister. He falls in love with the owner’s daughter, who is engaged, and they go down the rabbit hole of other mysteries. It’s a good mystery drama with some romance, so you’ll learn lots of investigatory vocabulary. Las Chicas del Cable takes place in Spain the early 1920s, and it’s about a group of girls who work for a phone company and operate the phone lines. They are also pioneering waves of feminism with having jobs and having more independence from their families and men. It’s a lot of romance, drama, and mysteries again, so you’ll attain some of that vocabulary, but it’s just an enjoyable show to watch. I was obsessed with this show because it involved a seamstress and the heir of a fashion empire in the 1950s Spain. It’s like a classic “rags to riches” story as she encounters lots of twists and turns along the way. The heir’s family tries to keep him away from the seamstress because they’re of different classes, but love keeps pulling them back together. And Miguel Ángel Silvestre (who plays in Sense8) is a hottie! What other reason do you need? In the 1920s in Morocco, Spain was involved in the Rif War. Many high-class ladies sailed to Morocco to nurse the sick and wounded soldiers. The nurses fall in and out of love and deal with the fact that they may lose them in battle. If you’re looking to learn more vocabulary in the medical field and war, here’s your chance! 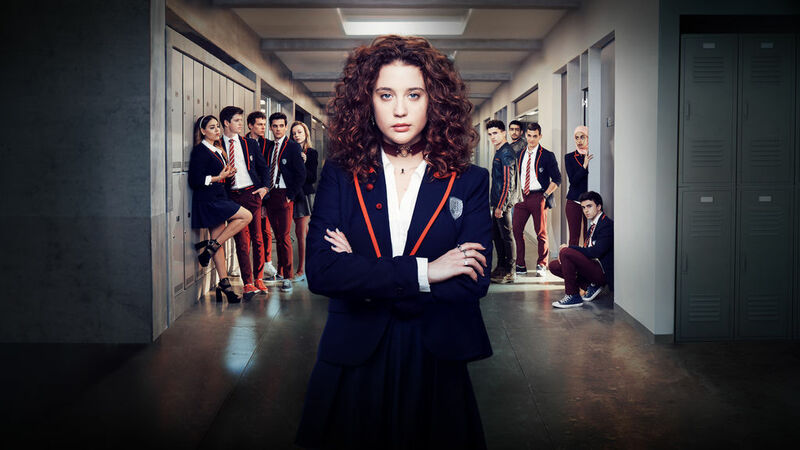 Here’s a more modern day show that is set in Spain, but lots of drama and romance is still involved. Three middle-class students earn scholarships at a private school with rich kids, and they must overcome their differences. One of the main characters dies, and the scenes go back and forth from the investigation to the story that led to the death. I’m still in the process of watching this show, but it takes place in Spain…in many different time periods. Three agents from different eras go through time-traveling doors to prevent people from changing Spain’s history. It’s challenging to watch because of the different time periods, accents, and contexts, but it’s an opportunity to grow your vocabulary. The show takes place in Colombia in the 1800s. Victoria’s parents were murdered when she was a baby, and a family of slaves saved her and raised her as their own. The man that murdered her family finds out that she is alive and goes after her, but a priest sends Victoria to Spain (when she is 12) just in time. Victoria goes back to Spain (when she is in her 20’s) to reunite with her family and learn more about how her parents die. You’ll learn a lot of vocabulary about ranching and farming, and it’s tough to watch at times, but there are lots of different accents you can pick up on along the way. This is a bit of a dark comedy set in modern times in Mexico. It starts off with the death of a mistress and then a lot of crazy events spiral out of control with each member of the family. It addresses issues related to drugs and LGBTQ. Ingoberable takes place in Mexico in modern times, and it’s about the First Lady of Mexico leaving her husband, the President. She leaves for political and relationship reasons, and it doesn’t end well for her husband. She must do everything in her power to learn the truth and prove her innocence. It’s definitely a dramatic thriller! 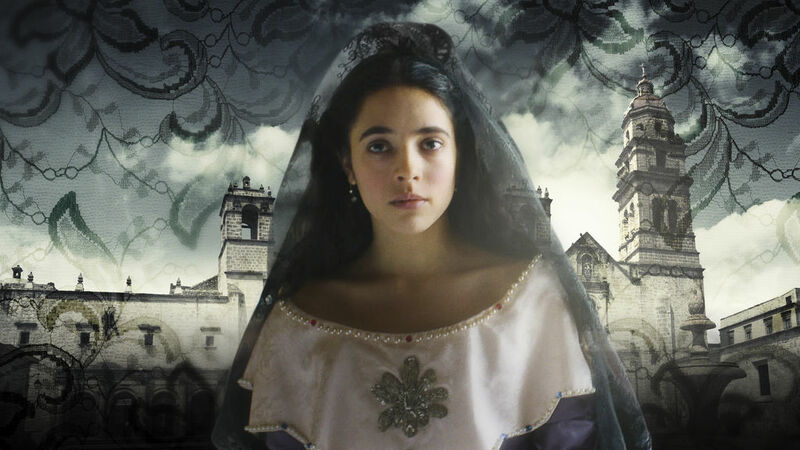 An intelligent young woman joins the convent to pursue her studies in Mexico in the 1600s. It’s loosely based on the story of the real woman. It’s a good way to gain some political and religious vocabulary, and most of the actors have an easy accent to follow. I will warn you that the show does get a little strange at times, but it’s still entertaining. Okay, so I’m a little biased toward romance and drama, but hey, there’s some mystery and politics thrown in here too. 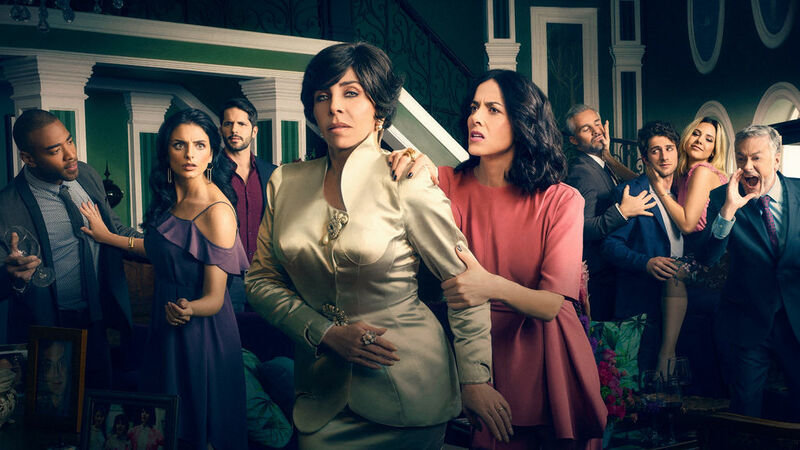 I highly encourage you to dive in and watch some Spanish shows! I also started watching Edha, which takes place in Argentina, but it’s quite challenging! The main goal is to get the gist of what’s happening in context, and over time (with some learning along the way), you’ll get the hang of it. Any other shows you recommend to watch in Spanish? Thanks for reading!